As usual, I was craving for some sweet stuff but everything sold readily baked in the shop is just too sweet. Just the thought alone sometimes makes me cringe. Finally, my craving beat my laziness and I decided to make some myself, with my own desired level of sweetness. In a mixing bowl, mix the butter, sugar, vanilla essence and lemon juice with a wooden spoon till creamy. Stir in the flour, roughly mixed, then add in the almond and apricot. At this point, start to mix the dough with hands till every bit in the bowl is well mixed in. Separate the dough into 12 similar-sized balls and flatten each one onto a baking tray lined with baking parchment. Place the whole tray in the fridge and chill for about 30 minutes. take it out to leave for a few minutes before putting it in the oven. 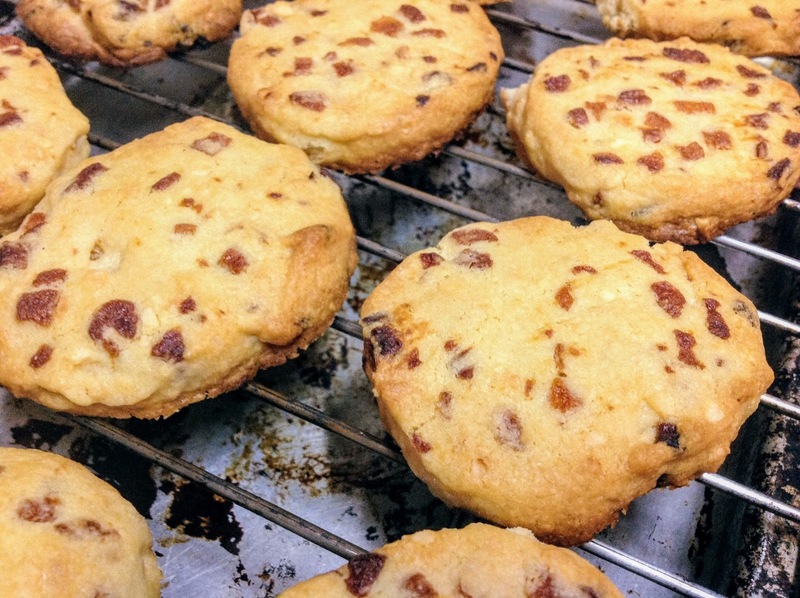 Heat the oven to 180ºC, bake the cookies for 12-15 minutes. Cool completely on wired tray before eating or storage. 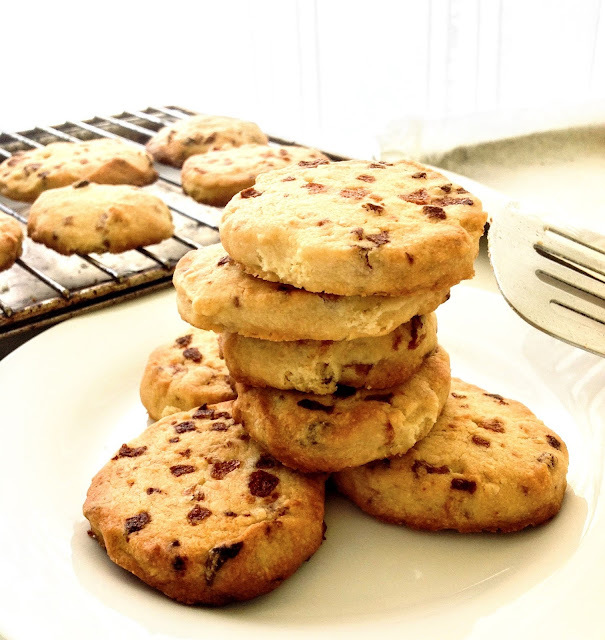 According to some recipes, cookie dough can be stored in the freezer for up to 3 months. As this batch turned out fine; next time, I might double the ingredients and freeze half for future use.